Not even the first public appearance of his father 31 years ago was so closely scrutinised, so minutely analysed, so globally feasted upon. 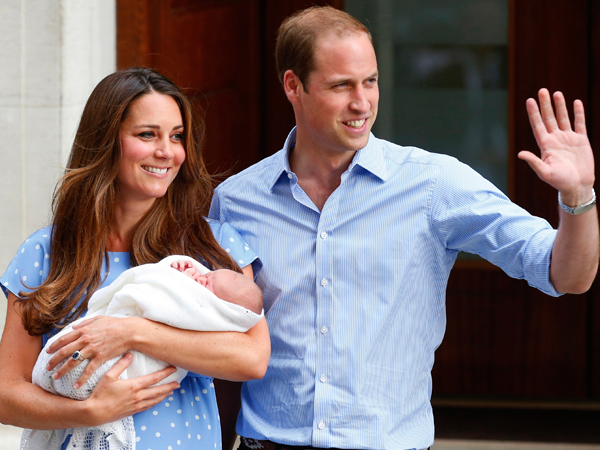 George Alexander Louis – Prince of Cambridge, firstborn son of William and Catherine and third in line to the British throne – had no idea how eagerly his first foray into the world outside his hospital room was awaited. His image – eyes scrunched against the glare, hands flailing as he mewled in brand-new discontent – was beamed to all corners of the world as the overwhelming bank of media members recorded the moment for posterity. Then the little prince was gone, whisked off to start a childhood that will be undoubtedly privileged yet also as normal as his parents can possibly make it.